~~ There’s a whole world of difference between someone writing I’m suing your idea and I’m using your idea. The first gave me immediate palpitations, the subsequent correction flattered me. When I logged into Twitter the next morning, I found that my followers now included actual tweeting cardiologists! I’m sure grateful I didn’t get charged by any of them for a consultation. 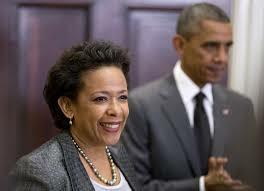 ~~ Overheard: “Obama’s new attorney general is one of them.” Your guess is as good as mine, but none of the answers is good. ~~ I don’t care if junk mailers waste their money, but what arrived in my mail this week made me really shake my head. An application for AARP Medicare Supplement Plans arrived for my long-departed dog Willie, and I was invited to receive more information about a Premiere Mental Health Residence that focuses on recovery, pursuing interests, and building a life in the community. What kind of mailing lists did these junk bombers buy? As the monks continued on their way, the one was brooding and preoccupied. Unable to hold his silence, he spoke out. "Brother, our spiritual training teaches us to avoid any contact with women, but you picked that one up on your shoulders and carried her!" "Brother," the second monk replied, "I set her down on the other side, while you are still carrying her." The story hit home for me. You? ~~ The 30-something woman was moaning that she should be done with breakouts by now. When I gently advised her that I still buy blemish cream and cover up — and I’m two decades older — she looked absolutely astonished. “I can’t live like this for another 20 years! They better start a Kickstarter to find a cure.” I’m in for $25. ~~ I finally know what it feels like to have not one but two sports teams I root for succeeding at the same time. I don’t know how long the Rangers and the Mets will stay hot, but I will have fun as long as it lasts. My adjustment time for rising from the depths of despair to the altitude of accomplishment is six seconds, tops!